I love being pregnant! Not only am I growing a human inside me, which in of itself is a miracle and will be a huge blessing to our family. But, it's also an acceptable time to wear form fitting clothes while having a huge protruding belly, and NOT feel self-conscious about your body. This is my second pregnancy and I'm all about comfort and style these days. 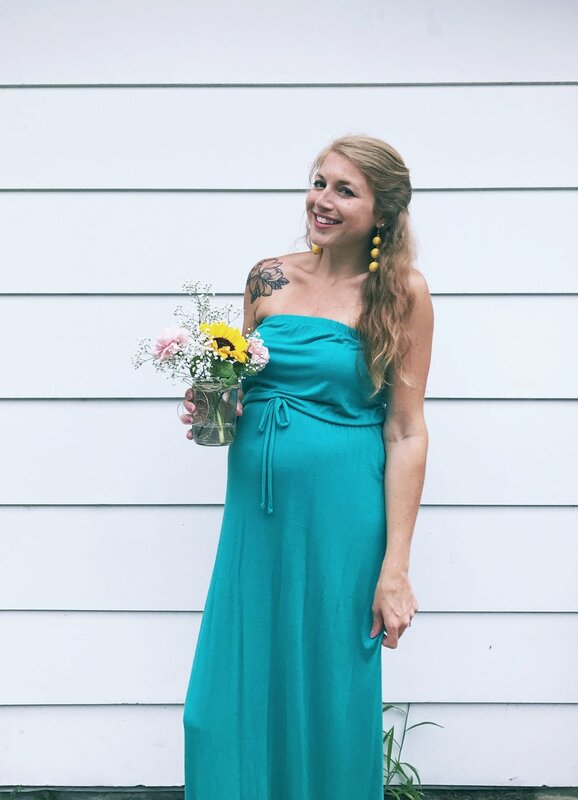 With my first pregnancy I was able to wear non-maternity clothes the majority of the time, because I was so small and I didn't show until a lot later. Now, it's not quite the same story. Plus, I am in a completely different season, with a big ole belly. 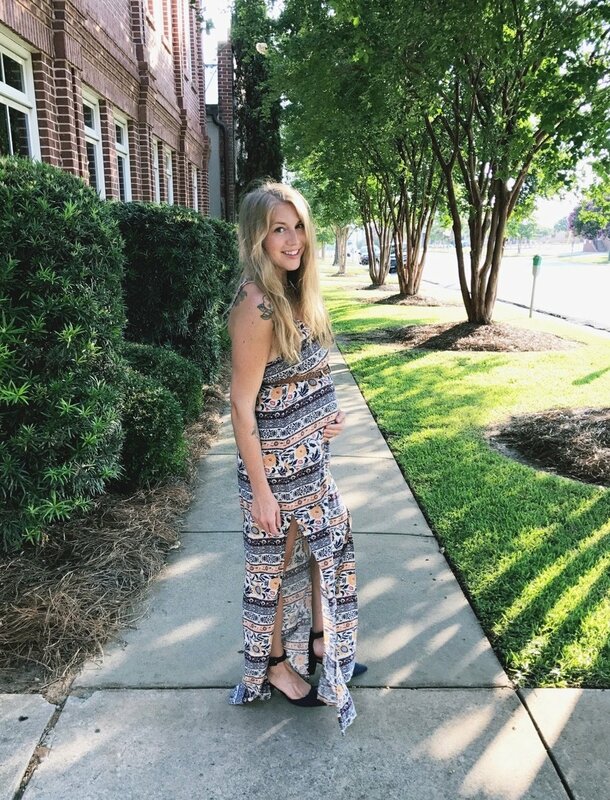 So, here are my top picks for maternity fashion during the hot summer months. Most of these will transition nicely into the fall months as well! I have been rocking maternity shorts for the majority of the summer. There were a few weeks when I could wear non-maternity styles, but they are not an option anymore (unless they are elastic waistbands). If you're pregnant during the summer, shorts will be a definite must for you. Just pick whatever waist band is most comfortable for you (fully belly, underbelly or stretch sides)! Personally, I like the full belly because it is seamless, covers everything, and there is no pooching! I live for dresses in the summer! All of the dresses I have worn so far have been non-maternity. I wore them pretty much exclusively during my first pregnancy in the summer months. Now that I have a rambunctious toddler, they are not always practical. But, they are always chic & stylish, and I didn't have to invest in any new pieces. Maxi dresses will also transitioned nicely into fall. And, if you're feeling really frugal, you can always pair shorter dresses with leggings. While leggings are not my typical go to for summer attire, because it's so hot, sometimes there are exceptions. Like when it's cooler in the mornings & evenings and pants are required. Leggings are perfect, because they are thin and form fitting. They're also great if you know you're going to be in air conditioning all day. I have worn both maternity and non-maternity leggings this pregnancy.